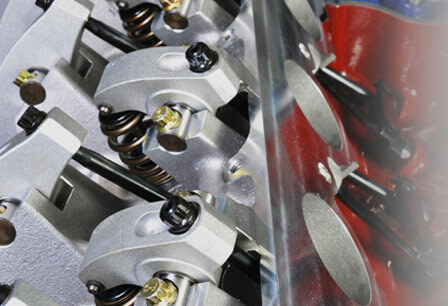 Trend Performance manufactures all stocking and custom pushrods to the 0.140in gauge measurement. Our pushrods length checkers are marked with a standard length which is laser etched into them. This number represents the gauge length of a part (0.140 gauge diameter) with the two halves tightly screwed together. 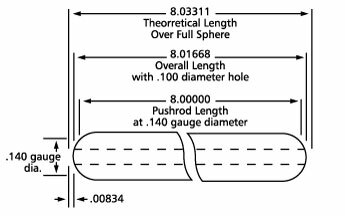 Extending the checker one rotation lengthens the gauge length 0.050.For example, a pushrod etched 7.800 screwed apart one rotation would be: 7.800 + 0.050 = 7.850 gauge length. 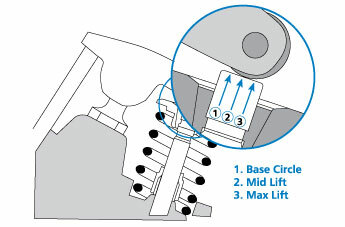 Therefore you would order the part number from the catalog based on this measurement.